Gold Dealers Exchange Pty. Ltd. and its related entities (referred to as BGC, we or our) are committed to the protection of your Personal Information in accordance with the Australian Privacy Principles set out in the Privacy Act 1988 (Cth) as amended by the Privacy Amendment (Enhancing Privacy Protection) Act 2012 (Cth) (Privacy Act). 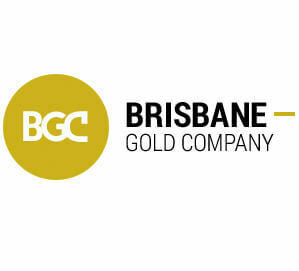 BGC may collect and hold Personal Information such as your name, gender, date of birth, contact details (including your address, phone numbers and emails, whether personal or for work), financial information, payment details, bank account details, Australian Business Number and/or products and services information and preferences. 3.1 BGC collects Personal Information from customers, employees, contractors and other individuals that is reasonably necessary for one of more of our functions or activities, including: in order to allow us to conduct our business functions, to meet any regulatory requirements which apply to our business, to market and sell our products and services and to conduct employee related activities. 3.2 You have the option to deal with us anonymously or by using a pseudonym. However you acknowledge that where this is impractical (for example when you contract with us) or where the law or a court order provides otherwise, we are not required to provide these options to you. 3.3 If you choose not to provide your Personal Information to BGC, we may not be able to undertake certain activities for you such as providing you with requested information, products or services. 4.1 BGC collects Personal Information when you: visit our Website, supply or buy products or services, request information about us or our products or services, provide feedback, change your content or email preferences, contract with us, fill in a form on our Website, or contact us by telephone, facsimile, email, post or in person. 4.2 BGC may also collect Personal Information about you via third parties including from our suppliers and merchants. (b) otherwise correspond with BGC. 5.2 Cookies are small text files that are transferred to a user's computer hard drive by a website for the purpose of storing information about a user's identity, browser type or website visiting patterns. 5.3 If you access our Website, a cookie is downloaded onto your computer's hard drive when you first log on to our Website. You can adjust your internet browser to disable cookies, however BGC may not be able to provide you with all the service or functionality you require on our Website if you choose to do so. (e) the location from which our Website was viewed (traceable to your local internet service provider exchange). 5.5 BGC's Website host uses this information to administer and improve the performance of our Website. 5.6 We use Google and/or other third-party service providers to serve ads on our behalf across the Internet and sometimes on our Website. They may collect anonymous information about your visits to our Website (not including your name, address, email address or telephone number), and your interaction with our products and services. They may also use information about your visits to the Website and other websites to target advertisements for goods and services in order to provide more relevant advertisements about goods and services of interest to you. (l) for any other purpose communicated to you at the time that the Personal Information was collected or for which you provided your consent. 6.2 BGC may use your Personal Information for a secondary purpose if that secondary purpose is related to those purposes in clause 6.1, if we have your consent or if otherwise provided for under the Privacy Act. 6.3 BGC may use your Personal Information to provide you with direct marketing materials if you would reasonably expect us to or if you consent to receive direct marketing materials. We will seek your consent to provide you with direct marketing materials if we have obtained your Personal Information from a third party. Direct marketing material may include promotional material about BGC or the products or services offered by BGC. 7.1 Depending on the nature of your relationship with BGC, we may disclose your Personal Information to shareholders, officers and employees of BGC, service providers who assist us in our business operations, government bodies, regulatory authorities and law enforcement bodies, other third parties, or otherwise as required by law. 7.5 BGC reserves the right to release Personal Information or other information about users who we believe are engaged in fraud or other illegal activities or are otherwise in violation of our company policies, if we believe in our sole discretion that such disclosure is necessary or appropriate to protect the rights or property of BGC, its affiliates, or any of our officers, directors, or employees, agents, third-party content providers, suppliers, sponsors, or licensors. 8.1 We do not currently disclose your Personal Information outside of Australia. In future we may choose to disclose your Personal Information outside of Australia to an entity in a foreign country and if practical will provide you with details of these countries when this occurs. It is possible that such entity may be subject to foreign laws that do not provide the same level of protection of Personal Information as in Australia. We will take steps to ensure that these overseas entities are obliged to protect the privacy and security of your Personal Information and use it only for the purpose for which it is disclosed. 9.1 BGC will take reasonable steps to protect your Personal Information from misuse, interference and loss and from unauthorised access, modification or disclosure. 9.2 BGC aims to keep your Personal Information secure and up to date. We will comply with our obligations under the Privacy Act in relation to any Personal Information that we handle, including information which is held on BGC's computer systems. 9.3 Your Personal Information is contained behind secured networks and is only accessible by a limited number of persons who have special access rights to such systems, and are required by company policy to keep the information confidential. We will take reasonable steps to ensure that the Personal Information that we hold is accurate, up-to-date and complete. You can update your Personal Information at any time by contacting BGC in any of the ways specified in clause 13. BGC welcomes any changes to your Personal Information so as to keep our records up to date. 11. How long will BGC keep your Personal Information? 12.1 You are entitled to access Personal Information that BGC holds about you. If you request access to your Personal Information, we will grant your request unless providing you with access would unreasonably impact upon the privacy of others or is not otherwise permitted under the Australian Privacy Principles or at law. If we refuse your request to access your Personal Information, we will provide you with written reasons for the refusal. 12.2 A request for access can be made by contacting BGC in any of the ways specified in clause 13. 13.2 You can find out more information about the Privacy Act and the Australian Privacy Principles from the Australian Information Commissioner. The Information Commissioner may be contacted at www.oaic.gov.au (email - enquiries@oaic.gov.au).